Taking out student loans to assist with the costs of postsecondary schooling in the US has become the norm in recent decades. The debt burden young adults acquire during the higher education process, however, is increasingly stratified with black young adults holding greater debt burden than whites. Using data from the NLSY 1997 cohort, we examine racial differences in student loan debt acquisition and parental net wealth as a predictor contributing to this growing divide. We have four main results. First, confirming prior research, black young adults have substantially more debt than their white counterparts. Second, we find that this difference is partially explained by differences in wealth, family background, postsecondary educational differences, and family contributions to college. Third, young adults’ net worth explain a portion of the black–white disparity in debt, suggesting that both differences in accumulation of debt and ability to repay debt in young adulthood explain racial disparities in debt. Fourth, the black–white disparity in debt is greatest at the highest levels of parents’ net worth. Our findings show that while social and economic experiences can help explain racial disparities in debt, the situation is more precarious for black youth, who are not protected by their parents’ wealth. 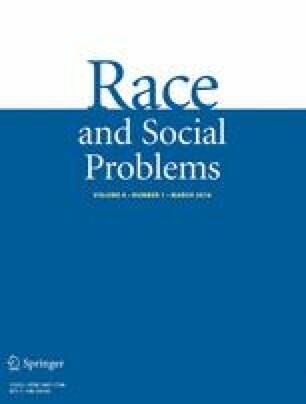 This suggests that the increasing costs of higher education and corresponding rise in student loan debt are creating a new form of stratification for recent cohorts of young adults, and that student loan debt may be a new mechanism by which racial economic disparities are inherited across generations. This work was initiated while Fenaba Addo and Jason Houle were Robert Wood Johnson Foundation Health & Society Scholar at the University of Wisconsin-Madison. The authors thank the Robert Wood Johnson Foundation Health & Society Scholars Program for its financial support. This research was also generously funded by a grant from the Rockefeller Center at Dartmouth College. Bureau of Labor Statistics. (2010). Updated CPI-U-RS, all items and all items less food and energy, 1978–2009. http://www.bls.gov/cpi/cpiurs1978_2009.pdf. Federal Reserve Bank of New York. (2013). Student loan debt by age group. Federal Reserve. https://www.newyorkfed.org/studentloandebt/index.html. Retrieved from December 7, 2015. Federal Reserve Board. (2010). G.19 Consumer Credit. Federal Reserve Statistical Release. http://www.federalreserve.gov/releases/g19/20100607/. Retrieved from May 10, 2011.